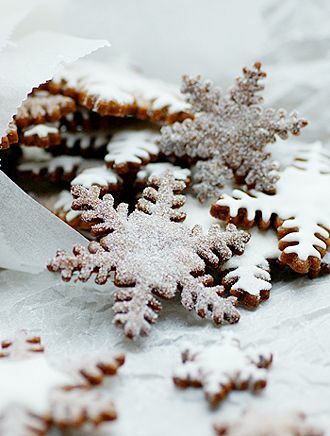 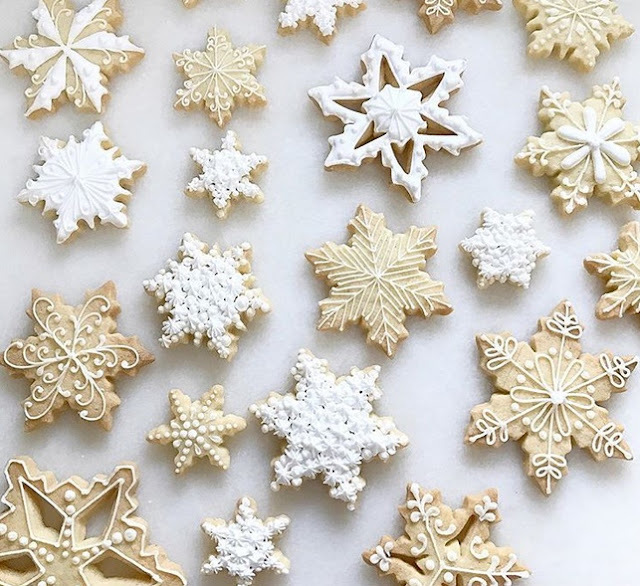 Snowflake cookies are a must-have entertaining treat of the season and we love the beautiful designs of each snowflake as well as snacking on these delicious, bite-size treats, while keeping warm with a cup of tea, hot cocoa or coffee. 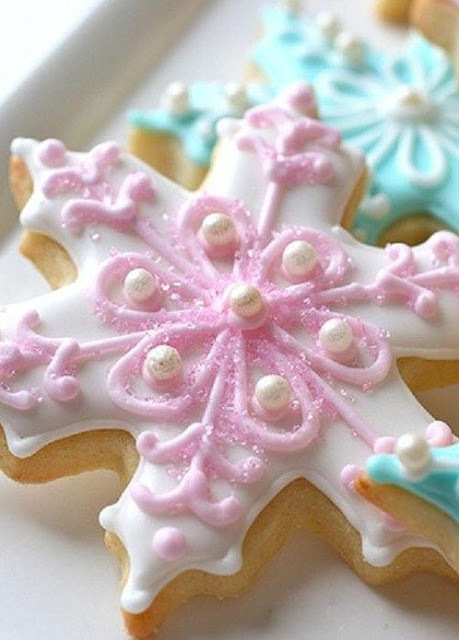 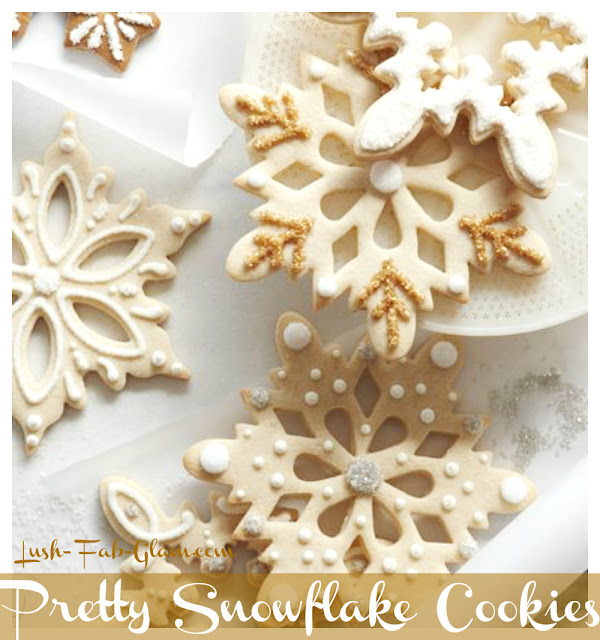 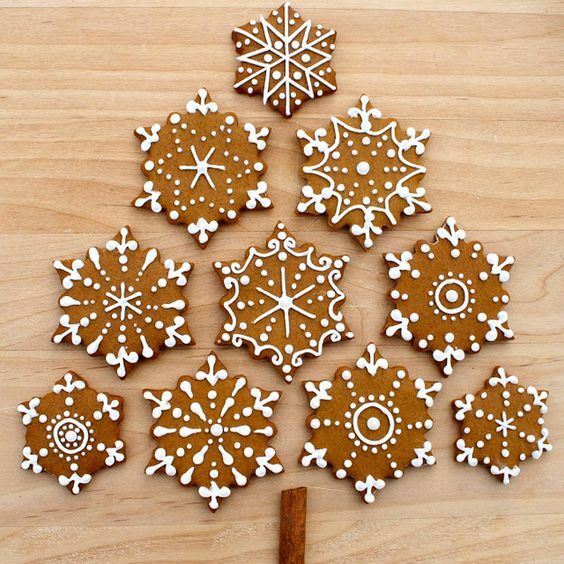 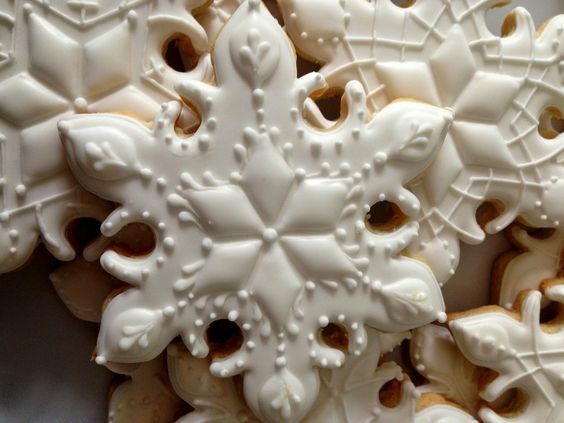 We have shared a few of our favorite snowflake cookie designs with you below. 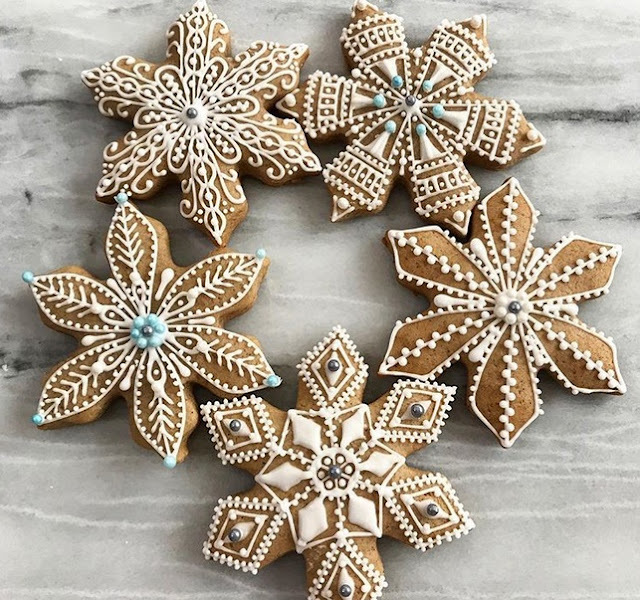 Including traditional sugar cookies and gingerbread cookies decorated with frosting, cookie icing and sugar pearls that are almost to pretty to eat! 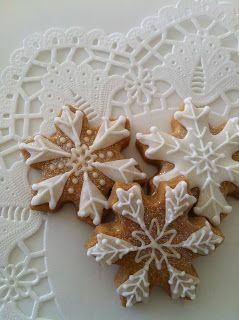 Fab Tip: Try the recipe for our Delicious Soft & Chewy Sugar Cookies to make your snowflake cookies. 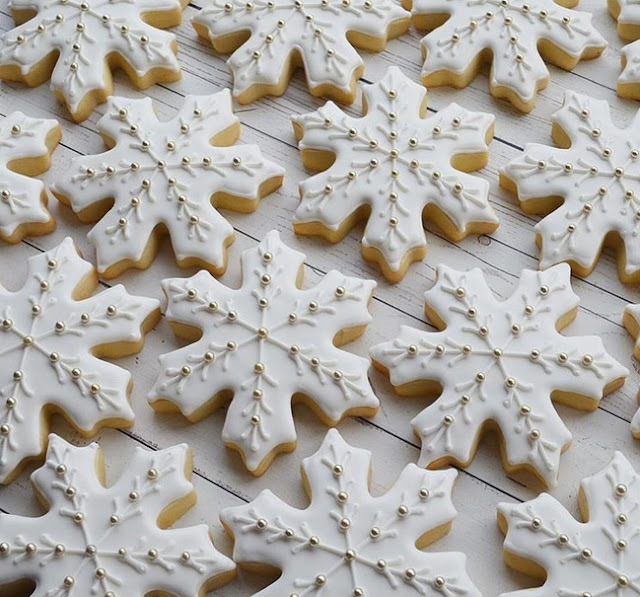 Once you're done baking and decorating your favorite snowflake cookies enjoy munching on them while listening to our Winter Season Music Playlist.